I’m doing that thing again. 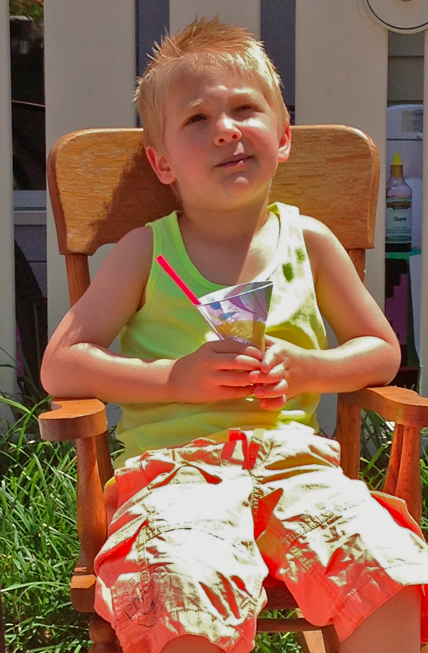 You know, that thing where I blog steadily for a week then don’t log in for two weeks. So let’s play catch up, which is where I fill you in on some recent happenings that I’ve completely neglected to blog about. 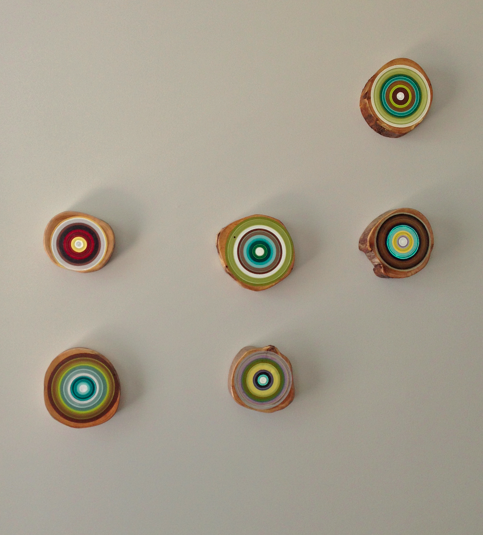 I hung a bunch of “tree ring paintings” in my living room. My husband is a bit perplexed by the asymmetrical arrangement, but I am loving it. 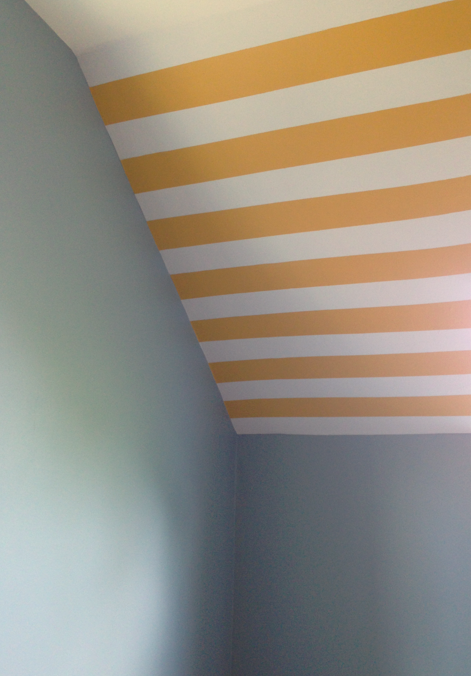 I recently checked in on a client and her sweet little boy’s room, and this is how the oddly-angled ceiling turned out. In my opinion, it’s PERFECT. The blue/gray is my go-to favorite, Benjamin Moore’s Mt. Rainier Gray, and the yellow is a secret and I’m not gonna tell you what it is. 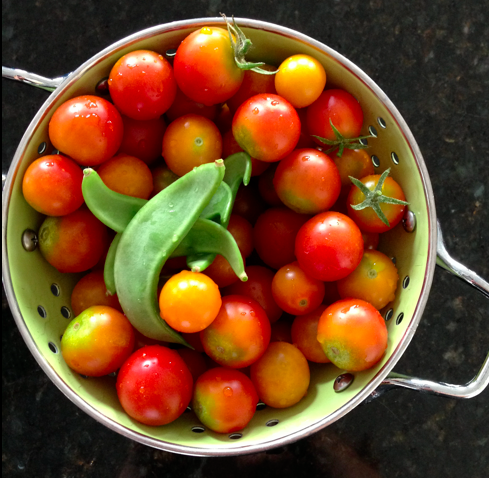 I harvested almost all of my tomatoes from my cherry tomato plants, which is surprising, because they usually come later in the year. I’ve even cleared one and planted more herbs in its place. Those little snow pea-looking things are courtesy of my son’s preschool class: they planted them in stryo-foam cups last spring and since transplanting it, it’s grown tremendously. We made pizza. A lot of pizza. My portion has hot peppers, cherry peppers, and red bell peppers. I like peppers. 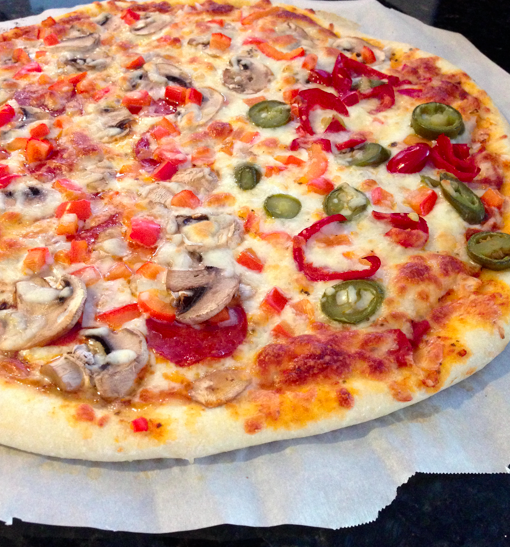 The boys have pepperoni and mushrooms and red peppers. 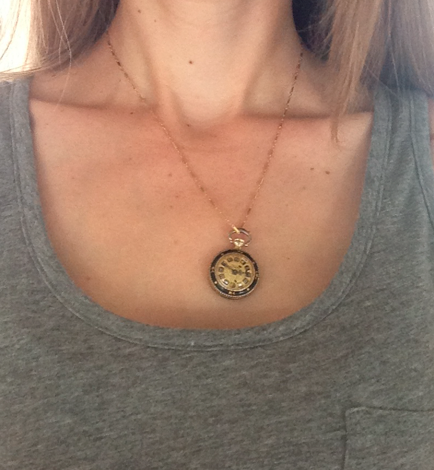 I re-discovered an old pocket-watch that belonged to one of my grandmothers. I found a chain for it that will work in the short-term, and put it to good use. (One thing I did not do is invest in better sunscreen, which by the looks of my rapidly expanding freckle-scape, I should….). ← Adaptive Reuse At Its Most Exciting: Revisiting 700 Delaware Avenue S.W.